We have different sizes available for small or large puppets and dummies. If you don’t see the size you like, let us custom design and sew one to your specifications. We also make two-tone legs as well. Contact us for volume discount pricing. Visit our other pages for more accessories to complete your project. We can design and sew custom legs to meet your needs. We have designed custom le gs for some of the top professional figure makers in the world. Custom legs may include, different sizes, different fabric or fabric color, 2-tone legs or grommets for easy attachment. Download the custom leg form below and complete the information for pricing or email us for pricing and lead time. Pricing may include a set up fee. 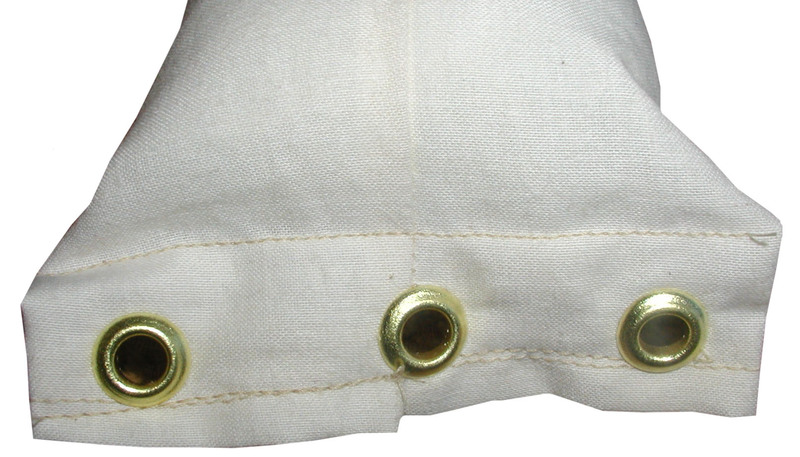 Example of attachment grommets on the right.